We’re excited to be featuring one of our most powerful (and underrated) tools as our feature spotlight this week: the Wishpond tracking pixel. The Wishpond tracking pixel allows you to equip your website, blog pages and ecommerce store with advanced analytics that will change the way you market online. Imagine being able to track users across every page of your website, your social contests on Facebook, landing pages and popups on your blog. Well now you finally can. 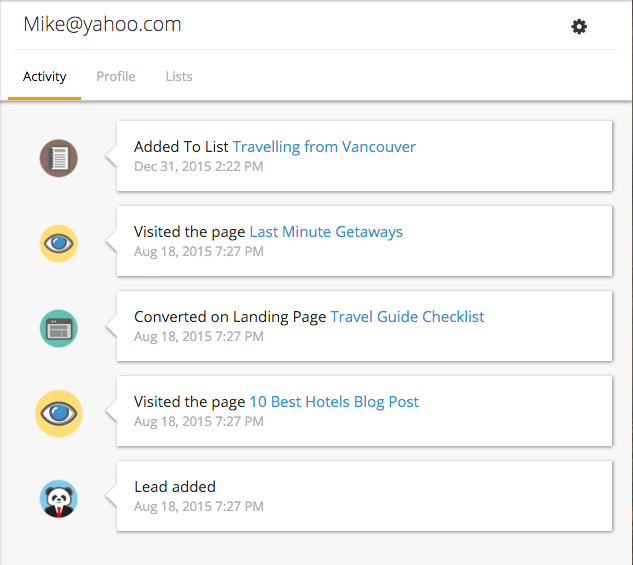 Installed in under a minute, the Wishpond tracking pixel is pasted into the HTML of a website (or individual page) and will automatically go to work to track visitors while simultaneously organizing them inside of your leads database. 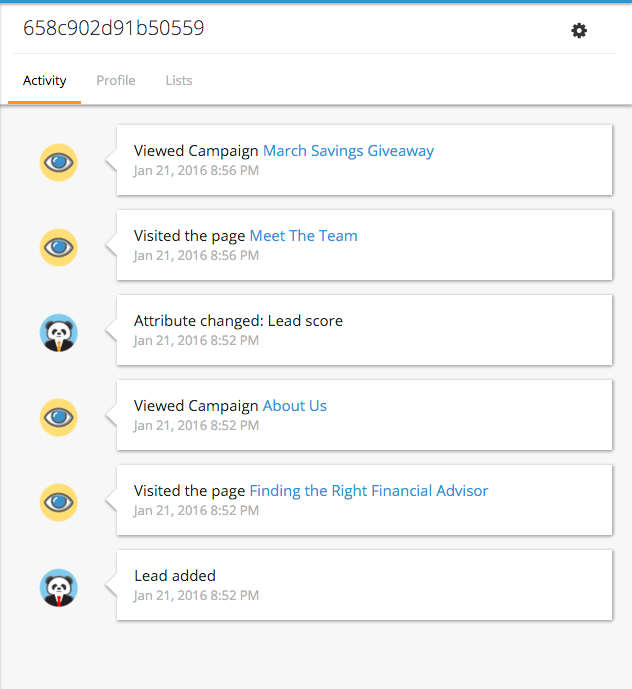 Once inside the leads database, you’ll be able to see a detailed breakdown of all of your specific leads activities and actions. Once your tracking is in place you can start to utilize the power of this information to trigger a number of actions. For example, wouldn't you like to know when someone has visited your pricing page more than 3 times in a week? Or would you like to be notified whenever a lead finishes one of your online training programs? Using Wishpond’s tracking pixel, you can pull data from multiple sources around the web to get an aerial view of all of your online marketing activities in one place. 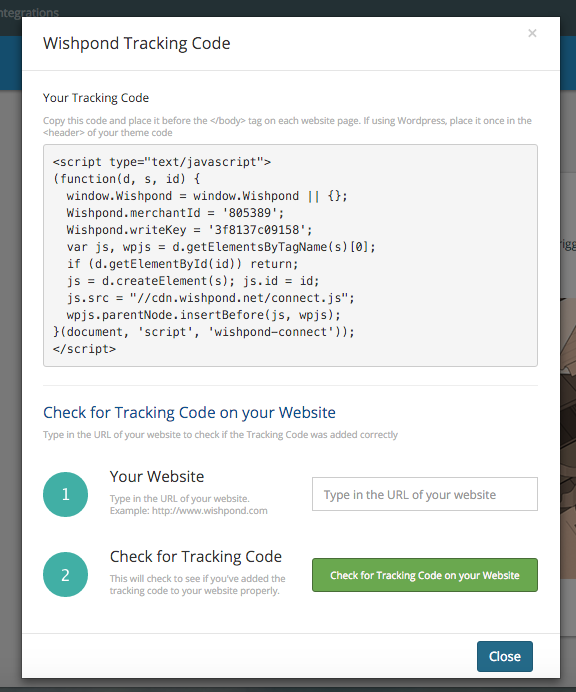 Simply paste the code into your website's HTML and let the tracking begin. Once you’ve pasted the code onto any of your web pages, paste the URL of that page into the web page checker to verify that your pixel has been installed properly. If you’re already using Wishpond’s tools such as landing pages, popups, contests, or forms, then each of those campaigns will already have a Wishpond tracking pixel installed. Once you’ve installed your pixel everywhere you want to track, it’s time to start monitoring! Inside of your leads database you will see a detailed description of all of your leads actions and events. Based on these events, you can start to trigger actions in marketing automation such as adding leads to a new "Hot List" or sending out automated marketing emails after a set of conditions has been met. Take a look at this workflow example that automatically sends a user a "Special Offers" email after they download a "Travel Guide Checklist" and view the "Last Minute Getaways" page on your website. Now you can finally send tailor made content to your leads at the exact time they're ready to see it! Did you know that Wishpond's tracking pixel can also track users before they provide you with any contact information. By detecting a users browser, Wishpond creates individual "Visitor" profiles which contain the same record of web history, actions, and event. When a user with one of these visitor profiles eventually fills out one of your forms, they are automatically converted into a lead and will automatically carry over all of their visitor data into a new lead profile. Using the Wishpond tracking pixel in this way, you can now track your leads from their first page view all the way through to a final sale! There are literally thousands of ways that you can use the new Wishpond tracking code to revolutionize your online marketing. Whether you want to track page view, email opens, landing pages visits, or contest engagement, Wishpond's tracking pixel has you covered. Click here to get your own code to get started today!